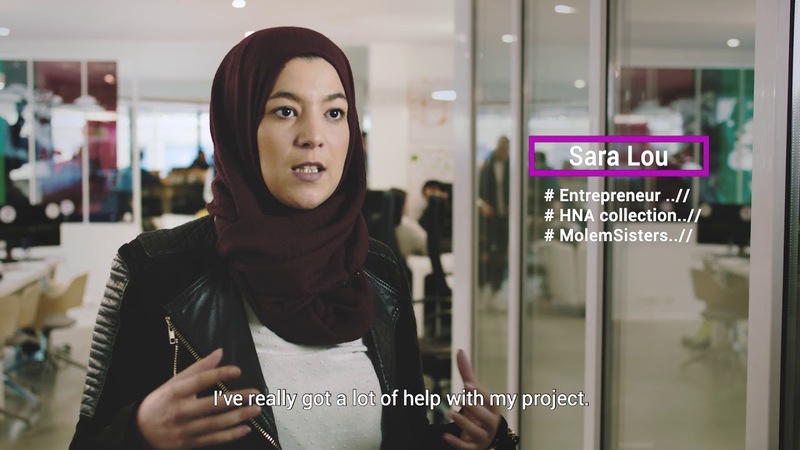 MolenGeek is a digital social project based in Molenbeek, a district of Brussels that has unfortunately been in headlines for negative reasons. Google.org supports nonprofits that seek inventive ways to address some of the world’s toughest problems. Earlier this week, the two organizations came together at MolenGeek’s Brussels HQ to celebrate a Google.org grant providing $250,000—over EUR 200,000—to MolenGeek to expand their inspirational work. Molenbeek has had a high profile in the international media over the past year, becoming known for radicalization as terror attacks swept Europe. MolenGeek is a part of changing that narrative, a symbol of hope in an area that faces many challenges. MolenGeek started in 2015 as a Coding School for anyone and everyone to learn digital skills, and to foster inclusion, integration into society and community development. It’s grown to become a co-working space where young people from very diverse backgrounds work, network and share their experiences. It’s already helped 177 young entrepreneurs start their own business or find a job using their newfound skills. In fact, every MolenGeek academy student to date has either created a startup or found a job as a digital worker—a success rate of 100 percent. The new contribution from Google.org will expand the Coding School with more classrooms, teachers and brighter futures. Alongside the grant, Google volunteers will spend time with MolenGeek administrators to help them develop tutorials in French, Dutch and English for a new comprehensive curriculum for digital skills. Besides Google, the Belgian Federal Government and Digital Belgium were early supporters, and Samsung is another vital investor. MolenGeek has generated positive attention for its work to provide alternative options for young people who might otherwise feel left out of opportunities in society. In addition to its regular Coding School, MolenGeek was also a participant in another Google project, "Tackling violent radicalization together,” which included a YouTube Creators for Change workshop on the theme of “fraternity” and a Google Campus visit for 12 MolenGeekers as part of a governmental mission to the USA. It’s vital that this work goes further. While the focus so far has been on helping young adults, in the next few months children between seven and 12 will be able to attend MolenGeek’s digital workshops, while those aged 12 to 18 can join the Supercoders program to learn more about coding. This expansion of digital workshops will reach between 200 and 250 young people in Brussels, every year. And it could have a powerful multiplier effect: many of them will use what they learn to find a job or create their own startups. This in turn will create opportunities for others that are finding chances for their personal and professional development hard to come by, building networks for success. We’re looking forward to seeing MolenGeek continue their important work.